for $139,900 with 3 bedrooms and 2 full baths. This 1,045 square foot condo was built in 2005. NO STAIRS for this first floor, fully furnished unit in the coveted southern end of the wonderful gated community of Bellasol. This upgraded condo features a brand new (2018) air conditioner, new (2017) water heater, and a full set of appliances including an in-unit washer and dryer! 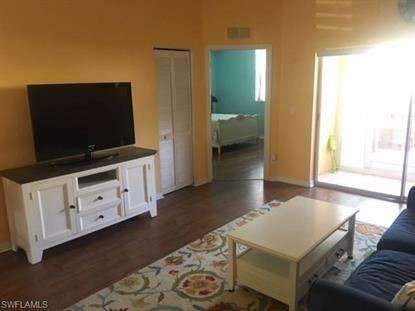 Wood styled LVT flooring in all bedrooms and great room, and tile flooring in the wet areas, so no worries when you walk back from the community pool/spa with damp clothes! If you know this community, you know that units sell quickly when and if they become available, so take the opportunity to see this while it lasts!